The way we generate and consume electricity is changing. Technological advances are empowering individuals and businesses to take control of where their electricity comes from. We see this every day in our work helping people go solar. Solar homeowners are excited to be producing their own electricity. 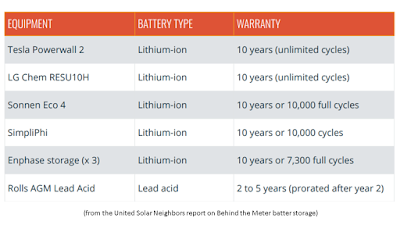 Battery storage is a natural compliment to solar. After all, if I can generate my own electricity, why can’t I keep it? Solar United Neighbors has developed this guide to educate homeowners about adding storage in their homes. We examine the types of batteries that are available and how they can be used in your home. We then dig into the economics of battery storage to help you understand if adding battery storage can make financial sense for you. The information in this guide is not just theoretical. In 2018 we launched our first storage co-op. 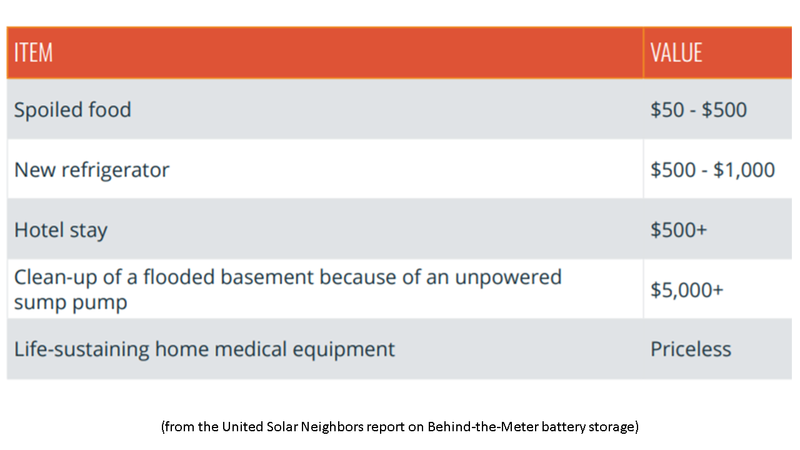 Built on the same model we use to help thousands of people a year go solar, this co-op helped Maryland homeowners add storage to their homes. Storing electricity in a battery bank can serve many purposes. In most parts of the country, battery storage for residential homeowners is mainly used to provide backup power during power outages. When thinking about installing a battery storage system, it is important to consider where the system will be located. Different types of batteries have different temperature requirements, space constraints, and siting conditions. Lead acid batteries are generally installed indoors because they have a preferred charging and discharging temperate range of 50°F – 80°F. While you can operate lead acid batteries outside of this temperature range, it will reduce the system’s lifespan and efficiency. Manufacturers guidelines will give additional specific details on operating temperature requirements for specific lead acid systems. Lead acid batteries are also less energy dense than lithium ion systems. This means they will take up more space per installed kW or kWh unit. A single lead acid battery takes up about as much space as a shoebox. Multiple batteries are strung together to make a system large enough to power multiple loads in your home. It’s best to mount lead acid systems off of the ground to minimize the potential for water damage. Lead acid batteries must also be connected to a separate inverter, which must be wall-mounted. 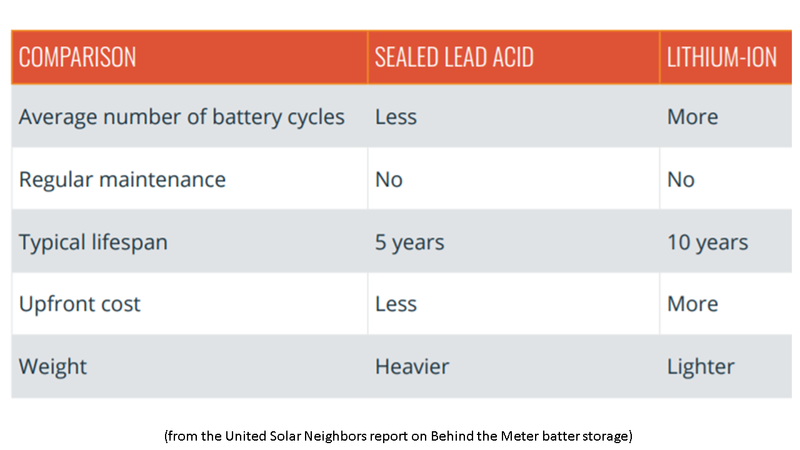 Sealed lead acid batteries are more common than their unsealed (or flooded) cousins because they do not require maintenance. If you own a flooded lead acid system, it is important to make sure you’re properly venting the space and are maintaining the system monthly. This maintenance includes cleaning the battery terminals and adding distilled water to the batteries. Lithium ion batteries have a much wider preferred temperature operating range, typically between 32°F – 100°F. Additionally, lithium ion systems are more energy dense than lead acid batteries and are typically contained in one singular unit. Depending on the manufacturer, Li-ion batteries may or may not contain an integrated inverter. This further reduces the space required for these types of systems. 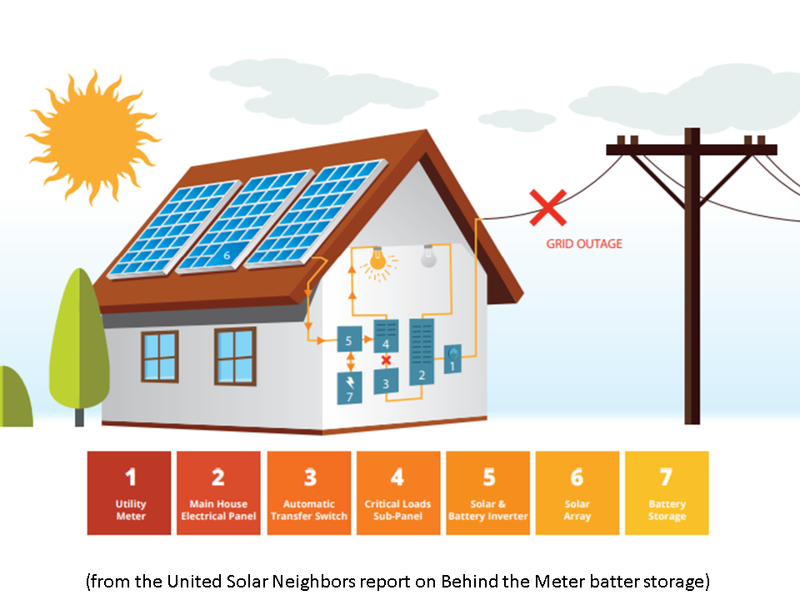 With lithium ion’s wider temperature range and smaller footprint, some manufacturers have designed systems that can be installed outdoors, typically mounted on the side of your home near your electric meter or solar connection. If you live in a climate with extreme seasonal temperature swings, you may want to install the battery indoors to maximize operating efficiency and battery life. Like sealed lead acid batteries, the lithium-ion technology requires no maintenance. Ongoing operations – cycling the battery on and off – will be controlled by a battery management system in the inverter component of the device. You won’t be responsible for manually switching the battery on or off. For most homeowners, battery systems are valuable because they provide backup power. Batteries offer peace of mind that you will still have electricity during power outages. 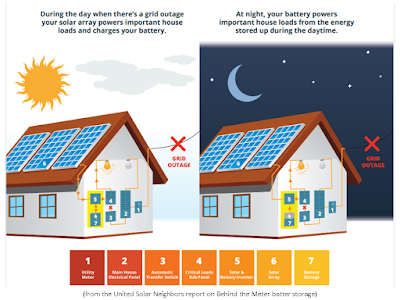 While a few states and utilities have implemented programs or rate structures that allow battery owners to make money with their systems, the typical home battery won’t regularly save you money or generate revenue. Become a member of Solar United Neighbors and we will alert you as new programs and incentives become available. We can also work with you to help get those programs enacted in your area to make battery back up more widely affordable.